Several years ago, with a fresh and significant injection of cash, passion and vision, one of the world’s oldest brands was given a new lease on life. 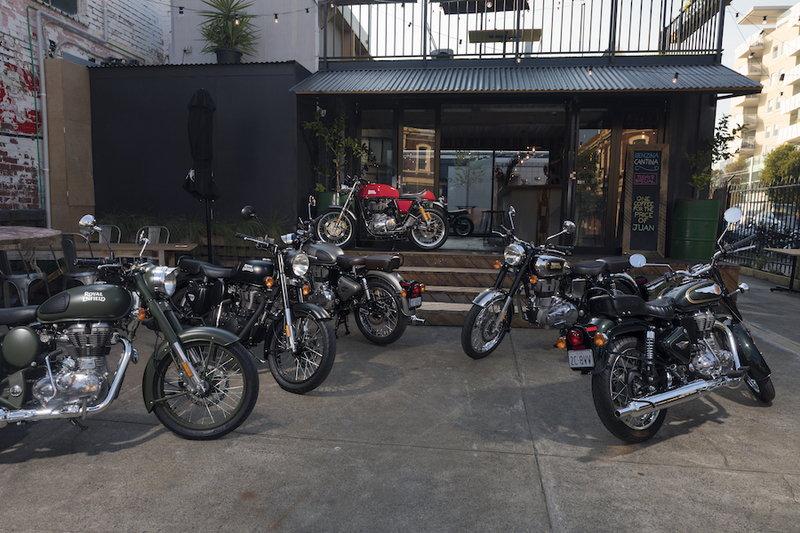 New models broke cover and, here in Australia, in the hands of Urban Moto Imports, Royal Enfield was back in the spotlight. Helped by the rise in popularity of anything retro, Royal Enfield hit its straps. 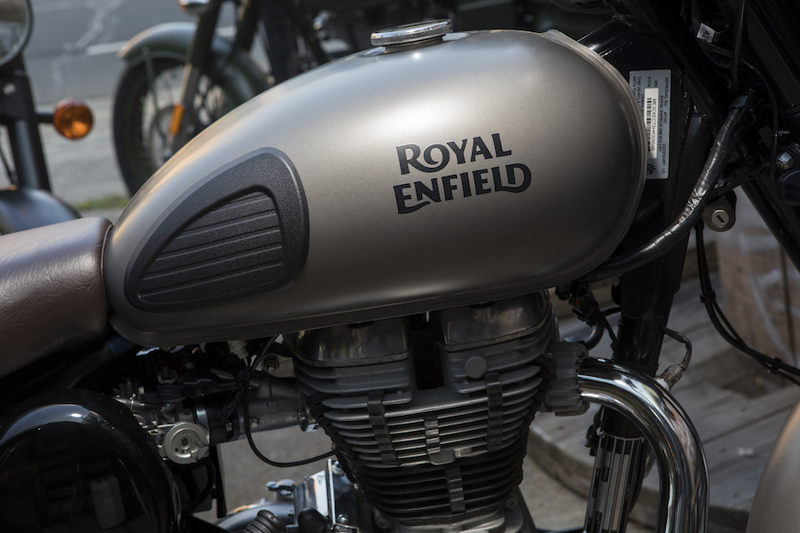 But as emission and type approval regulations moved forward, Royal Enfield’s R&D department was forced to move with the times. 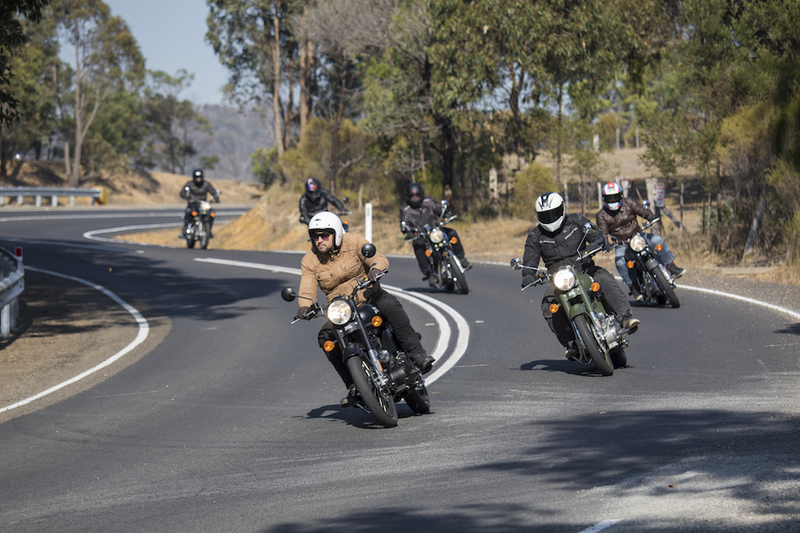 The 2018 model year marks one of the biggest steps in modernising the brand, with three models – the Bullet, Classic and Continental GT – all gaining Euro4 compliance. We take them all for a spin. 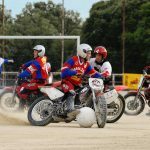 Royal Enfield’s Bullet has been around in one form or another since 1931, and its well-documented competition success secured its long future. The essence of that bike hasn’t been lost in the last 80-plus years, and that’s what I like about Enfields. 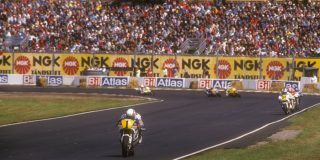 The 499cc Bullet is the most utilitarian of this line-up, made to get the job done whether that be travelling to the shop or riding across the Himalayas. 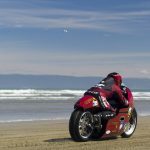 For your money, you are essentially buying a twin-shock, fuel-injected, 499cc bike that has disc-brake front-end and, for the first time, a disc-brake rear-end too. It’s all held together by a single-downtube frame, which uses the engine as a stressed member. A new swingarm has been fitted and, as far as I can tell, is changed to hold the new rear brake caliper as well as some bracketry for the big-news item: ABS. And a Bosch-branded system at that, so it works well. The Bullet now also meets Euro4 emissions standards. Up front, you get a pair of conventional fork legs, which are non-adjustable, and a pair of equally non-adjustable but gas-charged shocks at the rear. The Bullet is not overly powerful, which is great because it opens it up to all sorts of different riders, and it is LAMS-approved. 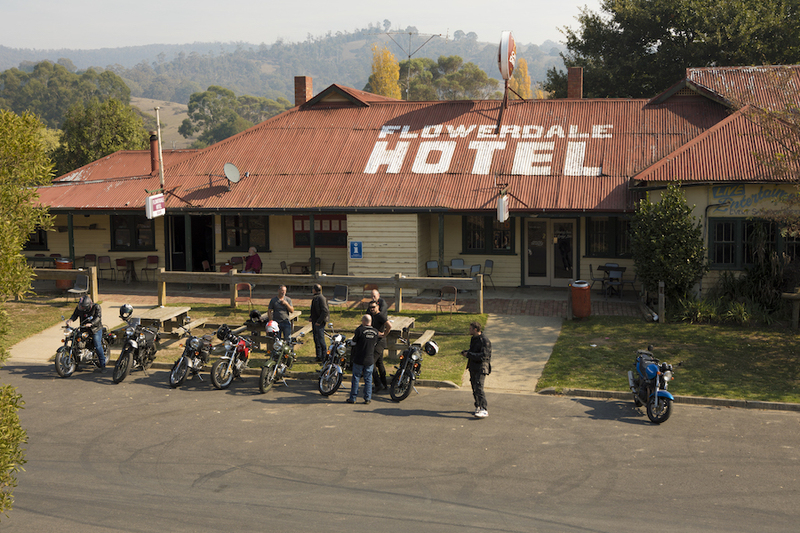 The Aussie distributor says it has had touring riders, returning riders and plenty of learner riders taking up the option as a first-time bike. 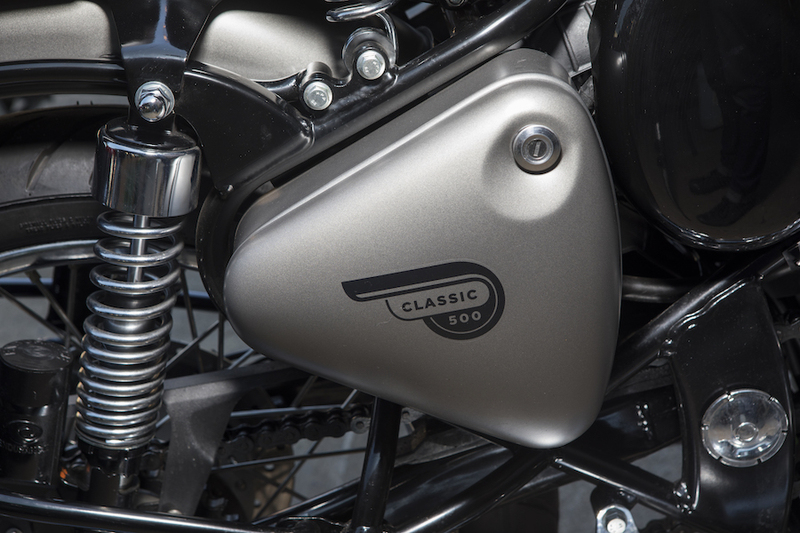 The Bullet still has the go-anywhere attitude it had more than 80 years ago. If there was ever a bike you could count on to be able to fix on the side of the road, it’s this one. Simplicity is your friend, and that’s something many Bullet owners have found out over time. And why not? It’s a great little bike. 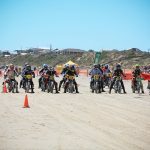 I felt at ease on the bike and loping along is fun and rewarding. The beauty of the Bullet is its reasonably small stature, which makes it easy to control. The seat height is low and it has reasonable steering lock. The clutch is very light and the gearbox positive. Royal Enfield uses a rotary disc selector system, which isn’t common but ensures good gear selection. 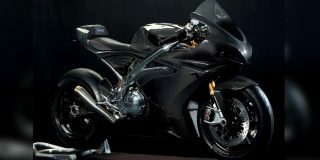 On the power front, there’s enough to get you from A to B but it’s no sportsbike. It sports a 19-inch wheel on the back and comes equipped with a centerstand, which is a nice addition. The Bullet also hides a neat trick up its sleeve, well, mudguard. 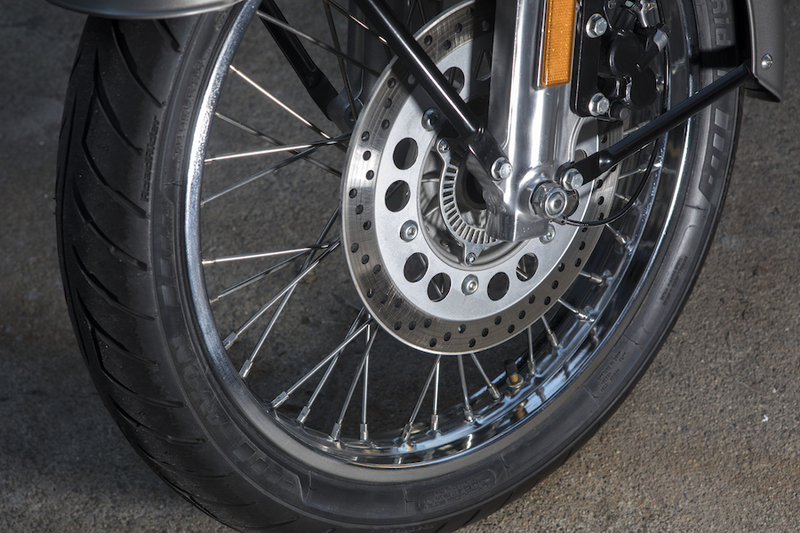 Because if you want to pull the rear wheel out, it’s possible to leave the chain and sprocket mounted to the bike, saving a heap of time and effort. The Classic takes you back to a simpler time. It’s an attractive bike, with an appeal, for me at least, that the Bullet misses. Its low rear end gives it a well-proportioned look and it makes it really accessible to lots of riders. 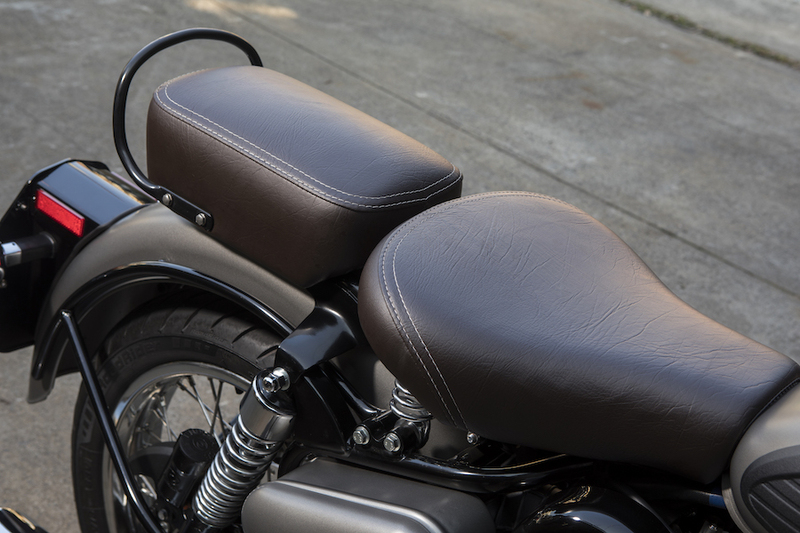 And the pillion seat now comes standard, so you don’t have to cough up for it as an accessory. Like the Bullet, the Classic is a small bike and easy to manage. It’s a mixture of new and old; where modern technology meets a bygone era. The fuel injection and throttle work perfectly, making it so easy to take off from the lights, with no stuttering or gasps. Its disc brakes slow it down from speed better than the drums might have, but only just. Electronic ignition gives it a decent power curve, but it can only just beat a semi-trailer away from the lights. 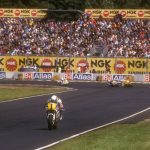 But those are the reasons that the Classic is so popular – it’s a bike for the people, and when you get on board it takes you back in time to a place where speed and performance perhaps didn’t matter quite as much. 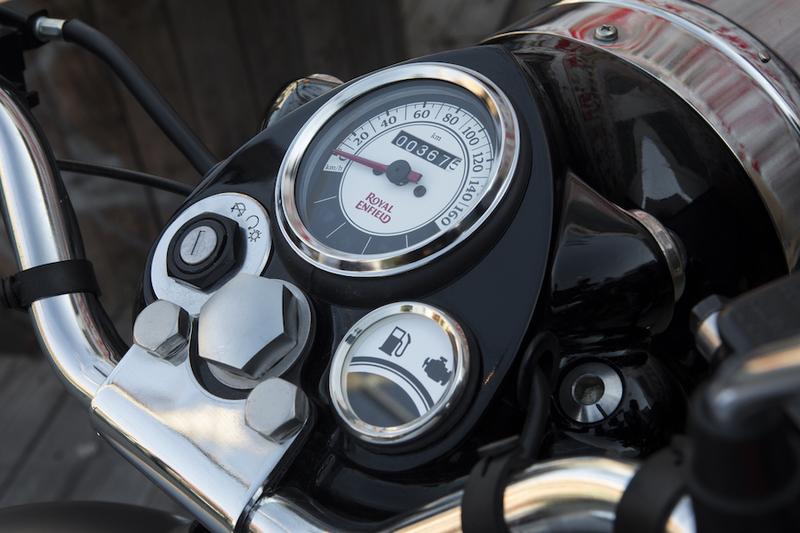 Like the Bullet, there are no distractions – more or less just a speedo and a fuel light (which never seems to come on). 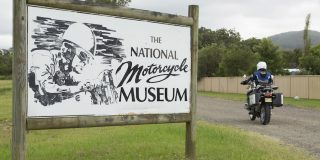 I rode almost 200km from Broadford to Flinders without topping up, but, due to the fact I had no tripmeter or fuel gauge, I just kept going hoping the light worked. The Classic has a 19-inch front wheel matched to an 18-inch rear and comes fitted with Avon Roadrider tyres. The lights are more than adequate for the speeds achievable and bulbs are used up front rather than modern LEDs. It plods along nicely on the freeway, but there’s not a lot in reserve if you need to blast past a car, so planning is key. The optimum pace is about 90km/h, where the bike doesn’t feel laboured and where the rider gels with it. For the relative spec of the suspension, it works well and the under-sprung seat plays its part in soaking up the bumps. The thing the Classic does best is evoke emotion. It’s not the acceleration, handling or braking that will impress you, but the way it can turn back time. Classic by name and classic by nature, the new 500 is the most sought-after of the new models, with a good mix of style and functionality. 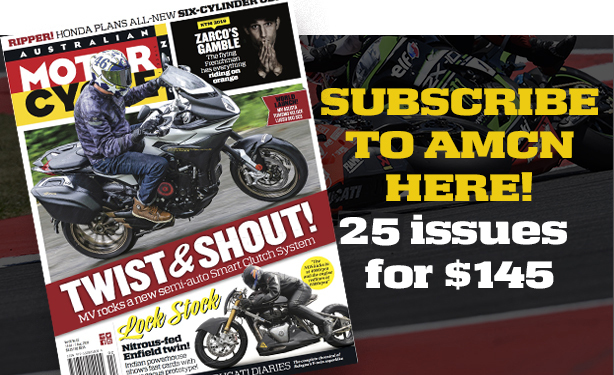 There’s no tripmeter, no tacho, no fairing – but that’s what makes it so much fun to ride. It’s so authentic it fools many people into thinking it’s an immaculately restored classic. 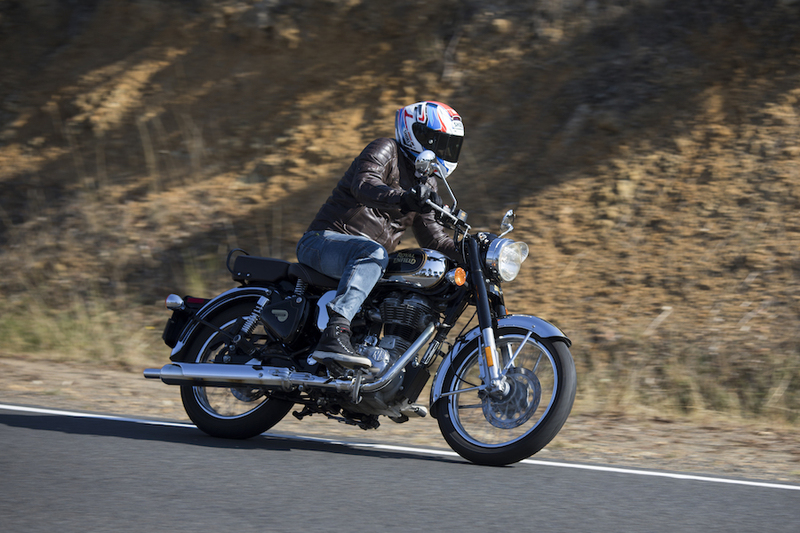 The GT is such an enjoyable bike to ride and, although similar in many areas to the Bullet and Classic, there are some features that make this bike shine. 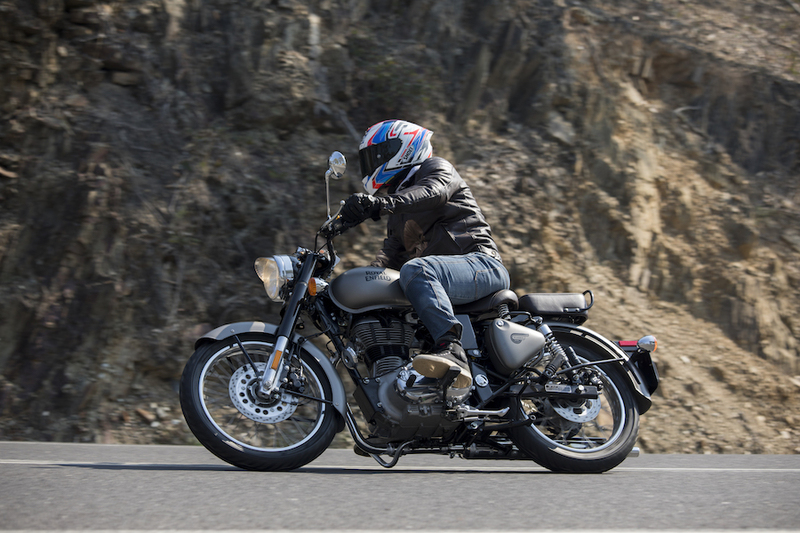 Its café racer style is eye-catching, and it ticks so many feel-good boxes when you ride it – it’s just so gentlemanly. 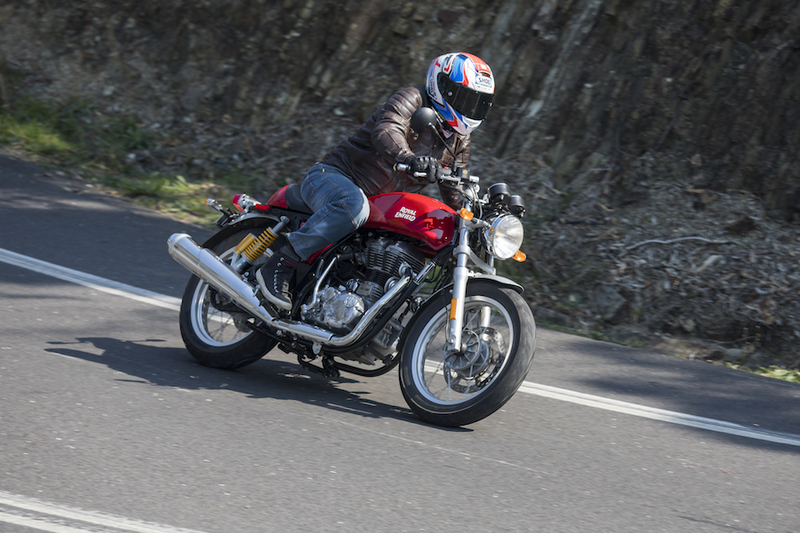 The heart of the Continental GT is a pumped-up version of the Classic and Bullet’s 499cc donk. 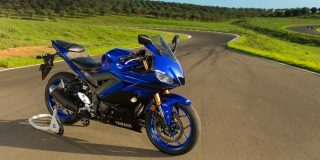 It boasts a 535cc capacity and that provides a bit more poke, especially since it is lighter than its two stablemates. This bike portrays an air of raciness with its upswept pipes and yellow shock absorbers, and is the type of bike that makes people glare with envy everywhere you pull up. I rode the GT on a nice twisty section of road out behind the Broadford complex and it was a lot of fun. 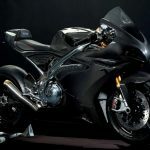 It has a distinct advantage over the others because this bike is not just a pumped-up Classic or Bullet, but rather it’s had some proper modern development. 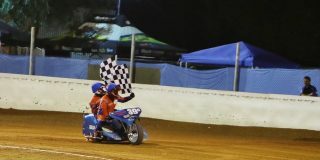 Harris Performance, the chassis mob now owned by Royal Enfield, is responsible for the frame layout and dimensions, and its precision can be felt in the handling. The thing I liked most about riding the Continental was the way everything felt neutral, even with its outward racing persona. The clip-ons look low, but in reality the ergonomics are supremely comfortable. It’s faster than the others too, not blindingly so – it’s still a pushrod two-valve engine after all – but just enough to get the ends of your mouth curving upward. The GT sports wider tyres and better brakes than the Classic and Bullet, and they do manage to pull the bike up better, but still require a decent amount of force. The ABS works well. Even though the GT has the Harris-inspired frame, bigger donk, wider wheels and is that bit sportier than the Classic – all things I love – it does lack one thing; a pillion seat. And that’s something most of us consider when buying a bike. I would have loved to have taken the GT home, but I could imagine my son crying in his bike gear as I rode off into the distance on the single-seated bike – so I opted for the Classic.